VTT Technical Research Centre of Finland and the Natural Resources Institute Finland (Luke) are together developing a new, smart, competitive technology platform for improving the profitability of dairy farms and for introducing commercial products through the contributions of business partners. The solutions combine clean Finnish milk production with optical measurement technologies, telecommunications and digitalisation, which are used to real-time make milk and feed quality measurements a routine in dairy farms. The solutions will be tested in practice at Luke's pilot farm this and next year. Finland is known worldwide for its high-quality agricultural production and as a producer of clean, safe food. The unnecessary use of antibiotics, for instance, is avoided in Finland, which also has strong expertise in the utilisation of optical measurement technologies, telecommunications and digitalisation. The SmartFarm research project, which is pursued together by VTT and the Natural Resources Institute Finland (Luke) seeks to combine these in order to create innovative milk production supported by the new solutions. "Today, dairy farms need immediate, quick, real-time, reliable data on the quality of milk and silage, which has been scarcely available so far", says Mikko Utriainen, project manager from VTT. "Continuous data on the composition of milk and silage offers possibilities to improve productivity with the help of feeding control and input-output optimisation. 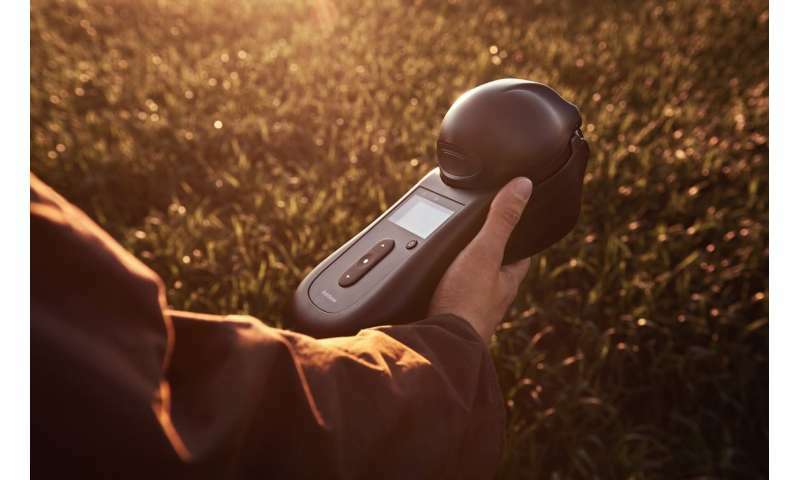 In addition, the farm-specific measurement of milk fat and protein contents that fulfils output control requirements could replace at least some laboratory samples", says project manager Matti Pastell from Luke. Knowing the dry matter content of silage alone would already be of great help in optimising feeding. In addition to new, more accurate measurement data, the project seeks to develop the usability of the data and the shared use of different systems. According to the survey carried out in the project, the dairy farms consider increasing milk protein and fat content and silage feed energy content, for instance, as important steps in improving productivity. Only 25% of the dairy farms were satisfied with their current profitability. As much as 93% consider it important to improve profitability with the optimisation of input and output prices and 82% by improving the productivity of work. According to Utriainen, both aspects can be addressed with the help of technology and digitalization. Only 33% of the farms considered increasing agricultural subsidies to be important, which suggests the need to invest in technology in agriculture. Launched in 2017, the project is financed by Business Finland, and its business partners are Faba osk, Mtech Digital Solutions Oy, GrainSense Oy, PehuTec Oy and Spectral Engines Oy. "Investments in agricultural technology are increasing globally, and top-flight Finnish expertise has potential for global business", says expert Pirjo Hakanpää from Business Finland. "Companies, too, expect commercially utilisable results and more in-depth commercial cooperation between companies through the project", says development director Hannu Myllymäki from Faba. "The business and research partners in the SmartFarm project have broad expertise in customers' needs, applications and technical opportunities. This is important in the initial development of new products and helps growth companies like us succeed on the global market", says technology director Uula Kantojärvi from Spectral Engines Oy.